Vincent and Charlotte's Dad brought in their pet snake Cornelius. Cornelius is a male corn snake who has just shedded his skin. Vincent and Charlotte also have a female snake at home. 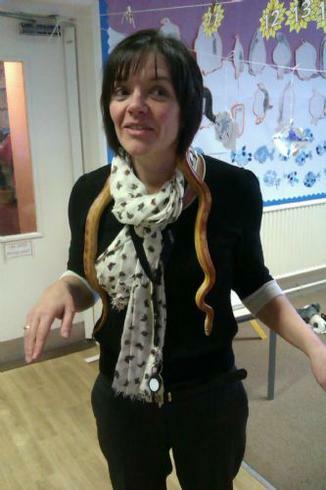 Those who dared had a little hold, including Mrs Taylor and Miss Atkinson. Most of the children were able to have a little stroke. Below is a link to some extra information about corn snakes!